Most dentists outsource their online advertising campaigns to a dental marketing firm which then reports to them the results of the campaign. This is where your knowledge of marketing will be tested because these reports are full of technical terms and abbreviations. You must understand the meaning of each of those metrics to evaluate the performance of any marketing campaign. In this post we explain 5 ppc advertising KPI’s that every dentist must understand. CTR is the ratio of clicks on your advert to the number of impressions it has received. This metric is very important for pay per click advertising specially Google Adwords. Google Adwords uses quality score in its ad ranking methodology and CTR is the main factor in quality score. A higher CTR means that your ad will get a better placement and cost less per click. Thus you will get more traffic in your budget. The cost per conversion or cost per lead is simply the total cost of the campaign divided by the number of leads. This metric is very important to understand the efficiency of your campaign in terms of driving calls, form submits and other actions. A cost per lead that is too high would result in an unprofitable campaign. Therefore you must keep an eye on this number and make sure it meets your agreed targets. As the name suggests this ratio gives the number of leads per click and is often expresses as a percentage. This metric helps gauge the effectiveness of the website or landing page used in the campaign in converting traffic to leads. In order to produce a low cost per lead, a high click to lead conversion rate is crucial specially for competitive dental procedures like cosmetic dentistry. Similar to the click to lead ratio, this one gives the number of appointments resulting from each lead. Since this ratio is less than 1, it is usually expressed as a percentage. Your marketing campaign will be unprofitable if you cannot close enough leads and convert them into dental appointments. This KPI will help you gauge the quality of the leads as well as the phone skills of your receptionist. This KPI represents the gross profit resulting from a campaign to all the cost associated with running and managing the campaign. 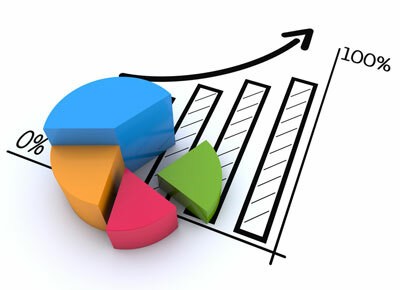 It is similar to the ratio return on investment (ROI) used to compare different investments. ROAS helps you evaluate the overall efficiency of your marketing campaign. A negative ROAS means you lost money whereas an ROAS of 100% means you made a gross profit equal to your marketing campaign cost. For any marketing campaign you should aim to hit at least 100% ROAS. If you are struggling to make sense of your advertising results, or you need to improve your dental marketing campaigns, please request a free consultation.